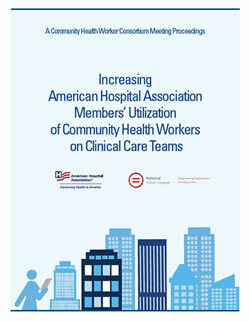 Increasing American Hospital Association Members’ Utilization of Community Health Workers on Clinical Care Teams. 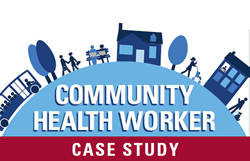 Community health workers (CHW) are community members who work in the community setting and serve as connectors between health care providers and consumers to promote health among groups that have traditionally been underserved. CHWs provide the necessary support and health education that is needed for individuals to successfully modify behaviors, increase engagement in their treatment plan development and increase the likelihood of improved health outcomes. Despite the many positive contributions CHWs bring to delivering high quality care, they experience significant barriers to becoming integrated members of the clinical care team. A number of American Hospital Association (AHA) institutions have recognized the pivotal role CHWs can play within a collaborative care model and have made initial strides to expand their involvement in their hospitals. Read the report from the proceedings. As a part of the community health worker initiative, the AHA and the NUL hosted the Community Health Worker Consortium in Chicago, IL. Representatives from hospital and health system organizations, federal and state agencies, academic institutions and community-based organizations attended the consortium. The session focused on three main topics: defining of community health workers, credentialing of community health workers, and funding sources and strategies for sustainability. 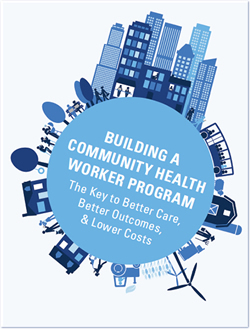 Post the consortium, the AHA and the NUL, along with Community Health Works, Inc. formed a strategic advisory group that worked together to apply findings from the consortium to the Building A Community Health Worker Program: The Key to Better Care, Better Outcomes, & Lower Costs toolkit. This resource is intended to help administrative and clinical leaders to implement successful and sustainable community health worker programs. If integrated on clinical care teams, CHWs can help address the needs of high-risk or at-risk populations (for example, those with multiple chronic conditions or premature birth), the social determinants of health, readmissions, emergency department overuse and provide direct services. These case studies showcase how hospitals are using CHWs to expand access to care — leading to better patient experiences, improved health and increased affordability. If you are interested in submitting a CHW program case study, please contact institute@aha.org.